-Support 4K Ultra High Resolution: Built-in HD graphics 400 processor improves the video playback to a greater extent, max resolution is up to 4K. Images will be so vividly like they will jump off the screen any minute. Your viewing experience will be optimized. 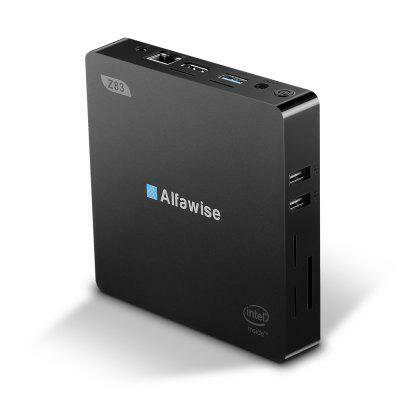 Want to be notified when the Alfawise Z83V Mini PC TV Box Desktop gets even cheaper? Make sure you snag the best price by entering your email below. We'll email you when the price drops, free! We're tracking the price of the Alfawise Z83V Mini PC TV Box Desktop every day so you know if that deal is really a steal! Check back for to check the best price for this product - and whether its current sale price is really the cheapest it's been! No Alfawise Z83V Mini PC TV Box Desktop coupons found!